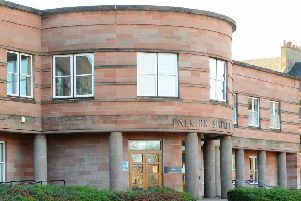 Falkirk Council could delay or even shelve plans for its proposed £21 million headquarters depending on the findings of a financial report. According to Council Leader Craig Martin next week’s meeting of the full council will see the administration ask for a report to be brought forward into finacial matters surrounding the plans to build the new HQ. The council lodged a planning application for the three-storey premises on the site of Westbank Clinic, West Bridge Street which was scheduled to be considered by the planning committee early next year. However, plans could be put on hold or shelved completely depending on the findings of the report. Councillor Martin said: “We are looking to bring a motion forward to get a full and detailed report into funding issues. No decision will be taken on the matter next week, we will wait until we have the findings of the report. SNP Group leader Cecil Meiklejohn said: “We welcome the fact the administration has done a u-turn on this. We said all along the figures were suspect and were not realistic, so I’m glad they have stopped the process before they signed any contracts. “We have got to question the competency of the administration bringing this forward in the way they did at this time, seeking to push it through. Clearly they hadn’t done their homework. Back in November Concillor Martin said: “The HQ is a ‘spend to save’ project, funded by the savings it will make over the long term. Cancelling it means the council would continue to spend the £1.9 million-plus per year on the existing, deteriorating building.